Concord Crew operates throughout the year. We encourage our rowers to row in the fall and spring, but we realize some are involved in other sports or activities. We also train over the winter. Athletes can choose which seasons interest them. Our racing schedules pit our crews against the best crews in the Northeastern United States and Ontario, Canada. As each season approaches, the registration process starts with instructions specific to that season's rowing. Athletes or parents are guided through registration via Regatta Central, a widely used rowing registration and tracking portal, as well as US Rowing's athlete registration system. Our fall season runs from mid-August through October. We accept returning and new rowers for our fall seasons. The fall provides an excellent opportunity to work on technical rowing skills and build an aerobic foundation. Racing is “head style” in the fall, long races (2.5 to 3.1 miles) against the clock. Typical race venues include Lowell, Massachusetts, Pembroke, New Hampshire and Saratoga Springs, New York. Frequently we are invited to participate in the Head of the Charles Regatta in Boston. Concord Crew runs an ergometer (indoor rowing) program for experienced athletes. We train two to three days per week from November through mid-February. 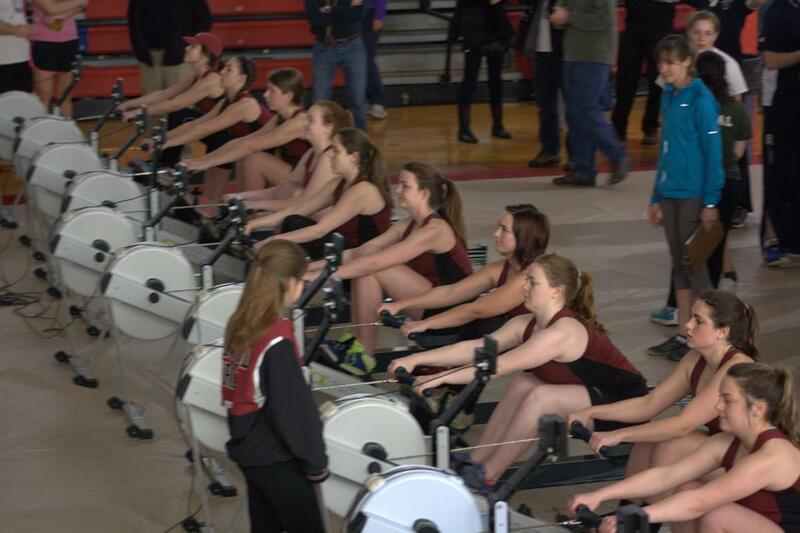 Interested rowers participate in indoor rowing regattas such as the Queen City Icebreaker and CRASH-bs. This is a critical piece of training for the serious rowing athlete who doesn’t participate in a winter team sport (or even if you do!). For most, the ergometer training experience and resultant improvement in “2k” test scores can make the committed athlete hard to ignore for coaches and colleges. Concord Crew travels south to Summerton, South Carolina for a rowing training trip over winter break in February. We stay at Camp Bob Cooper, an athletic and retreat camp run by Clemson University. The trip affords the best opportunity for reacquainting the athlete with increasingly intense water workouts as we anticipate the spring race season. It is the hardest thing your young athlete will ever love. Our spring season runs from mid-March through early June and features “sprint style” racing opportunities (1500m or 2000m) at venues in NH, MA and NY. There is practice every day of April vacation. Spring also includes regional championship competition which, in turn, offers the opportunity to qualify for national championship races in early June. Concord Crews have competed in the nationals twice since 2009 and we look forward to more! Concord Crew operates a summer introductory rowing program for those new to rowing, whether you are in 7th grade or 12th. This program is the best way for new rowers to get a taste of crew. 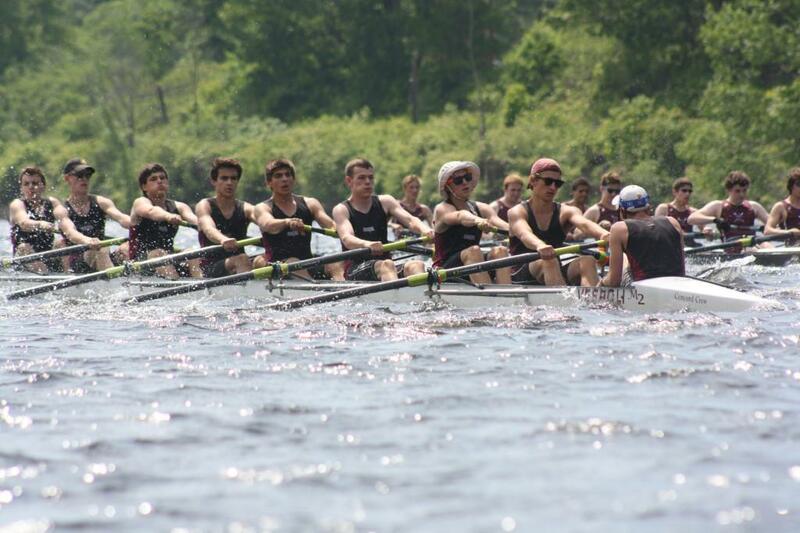 For more experienced rowers, we suggest the programs offered by the Amoskeag Rowing Club in Hooksett, NH.